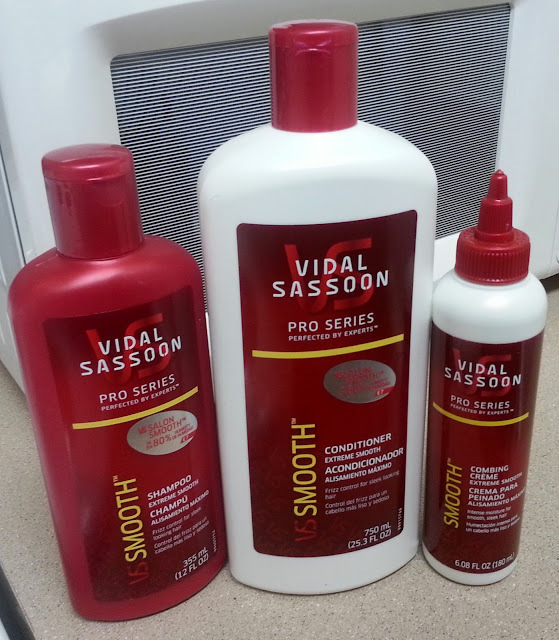 Before having my recent extensions removed, I received the Vidal Sassoon Smooth Collection to review. I know what you are thinking. "Doesn't that have sulfates?" It does; however, with natural hair, different things work for different people. Although most of my favorite natural hair products include natural ingredients, I wanted to try this collection to see if it may be a great, affordable option to my regular products. The Vidal Sassoon Smooth Collection includes three products, including shampoo, conditioner and smoothing creme. These products are geared to moisturize hair and tame frizz. I was able to try the shampoo and conditioner; however, I was unable to try the smoothing creme because it is advised to be used on towel dried hair and for my natural curls, I must style them while completely saturated with water. Let's get into the review! 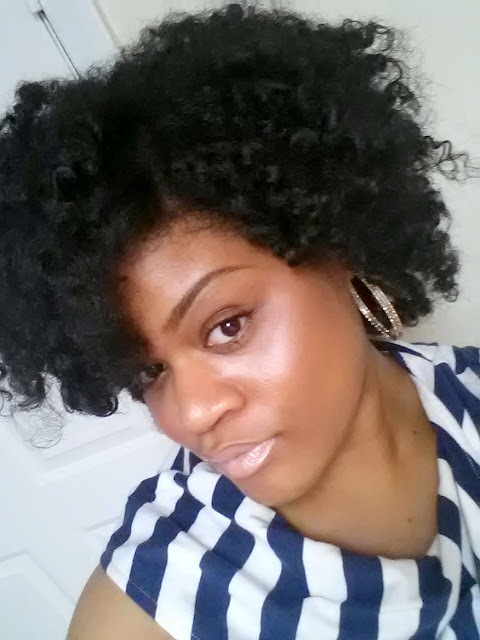 I am glad I tried this product because when it comes to natural hair, you never know what may work for your hair. Overall, my experience with these products was okay. The shampoo was drying for my hair; however, the conditioner did manage to bring it back to life. 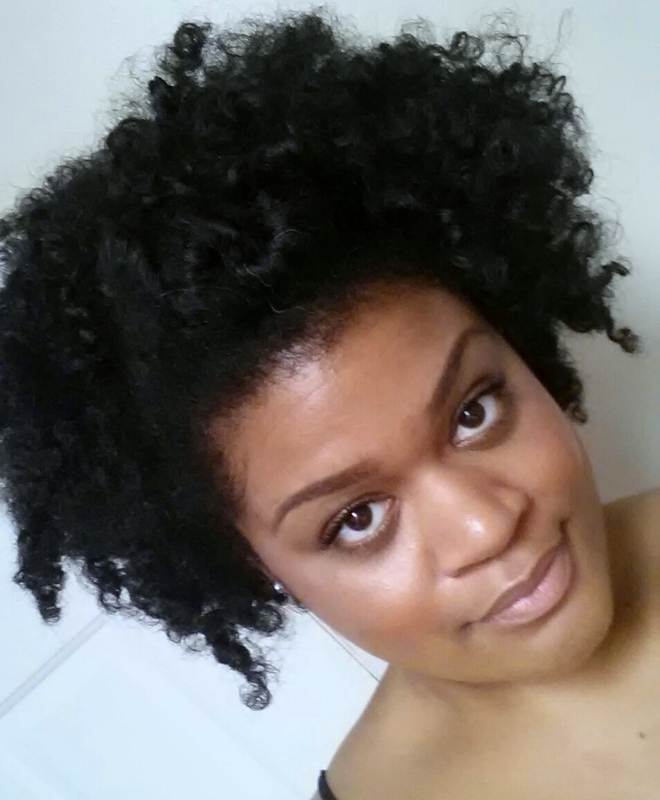 Even though it brought it back to life, it was not as moisturizing as some of my other natural hair products. Also, I did not notice a difference in the amount of frizz. It honestly depends. If you are a fan of silicones, currently have a relaxer or have naturally straight hair, this may work perfectly for you. For naturals who sometimes suffer with dry hair like myself, this may not work in your favor. However, the conditioner may be a great option for any hair type because it's affordable and easy to find. Want to win a set to try? Read the giveaway rules & enter below! Giveaway is open June 10 until midnight, June 17. I will contact the winner by e-mail on Monday, June 17. Thanks for entering! Very cool to do a review regardless of the sulfates. Sometimes I have no idea what all of these things mean when Natural hair "gurus" mention that it's bad. Is it really that bad...I mean whatever that's the point. I can't see your actual hair pictures but I'll check when I get home. Curious to see how it works on my hair since I have a different curl patten. Great review, and your hair looks fabulous! I've used these and found the shampoo drying out my hair as well. I couponed for them (making the cost to try a new product almost negligible) and will probably use the opened bottles, but give the others away the next time I do a charity drop off. Thanks for the honest opinion! Nice colors for the packaging, but I don't need any more dryness. I would definitely encourage you to give it a try! In all honesty, I do see why people are anti-sulfates because it does strip our natural hair, BUT you don't know that it will be like that with all products because companies use different formulas. Either way, I thought it was worth a try. I'm in limbo with my hair right now. I don't know if it's pregnancy hormones or what but nothing seems to be agreeing with my hair. With that said, I like the price point of this product line. I can try something new without splurging and who knows it might work. I've never had a problem with Vidal products before. Their hot oil treatment is pretty incredible! My hair can be the same way at times. You may like these or the Pantene products I recently reviewed!